One whiff of budding flowers and the pressure in your chest starts to build. 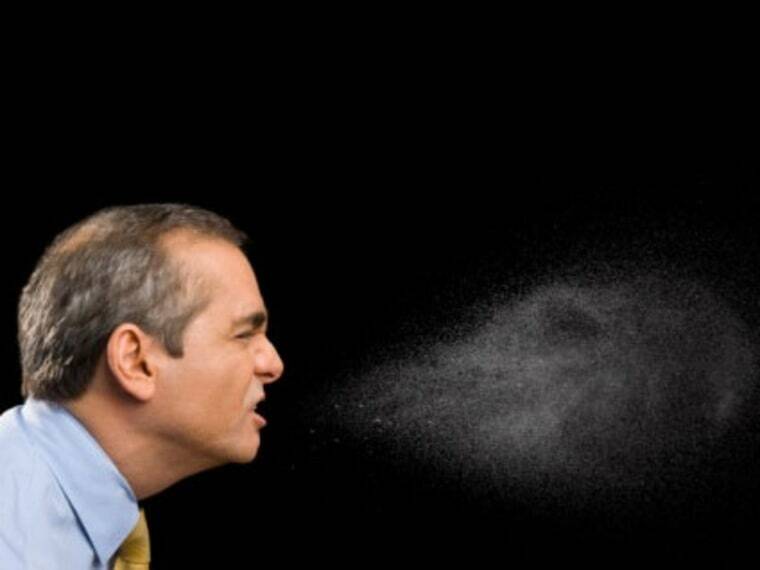 Your nose feels twitchy, your eyes snap shut and a-a-a-a-c-hooo -- a sneeze rockets out at 75 to 100 miles per hour. And with a long, miserable allergy season ahead, that's going to be happening a lot. We all know how a sneeze happens. What we don’t know is why our eyes automatically close when we do it. School kids will tell you it’s prevent your eyes from popping out, an urban legend – at least for the most part. There has been at least one report of this actually happening. Dr. Rachel Vreeman, co-author of Don’t Swallow Your Gum! Myths, Half-Truths, and Outright Lies About Your Body and Health says she discovered an 1882 story in the New York Times about a woman whose eyeball popped out (known as eyeball subluxing) after sneezing. Vreeman says there is no modern medical evidence of eyeball subluxing from sneezing, although she admits it has happened to people who violently vomit. Usually, though, this only happens to people who suffer from eye muscle problems. Interestingly, those same muscles provide a bit of ammunition to shoot down the eyeball-popping urban legend. Of course, just because the eyelid muscles don’t have the strength to hold your eyes in, it doesn’t mean they’ll explode out during a violent sneeze. Optometrist Bert Moritz of the Mayo Clinic Health System in Eau Claire, Wis., explains that six extra-ocular muscles firmly hold the eye in the socket, making it almost impossible for eyeball subluxing (what a relief!). And though it may feel as if pressure builds in your entire face before you sneeze, it doesn’t increase in your eyes. “The nasal passage, where the air comes through, is separated from the eye by some bones and membranes,” says Naclerio. So why then do we clamp our eyes shut when we sneeze? A deep tendon reflex is what happens when a physician taps on your knee with that tiny hammer and your knee jerks. It’s simply an uncontrolled body response. Sneezing with your eyes open feels impossible without using your fingers to pry them open. Which has certainly been done, by one of the guys on Mythbusters and countless others. Others have theorized that we shut our eyes when sneezing to shield our eyes from whatever we’ve expelled, says Moritz. Generally, when we sneeze we’re protecting ourselves from allergens and the reflex to shut our eyes might have developed as a further defense. "Some biologists think that when we expel our mucous and things [we close our eyes because] we don't want that stuff to get in our eyes," he says.